Today’s post is the first of a two part article to help you plan your golf holiday in Phuket. 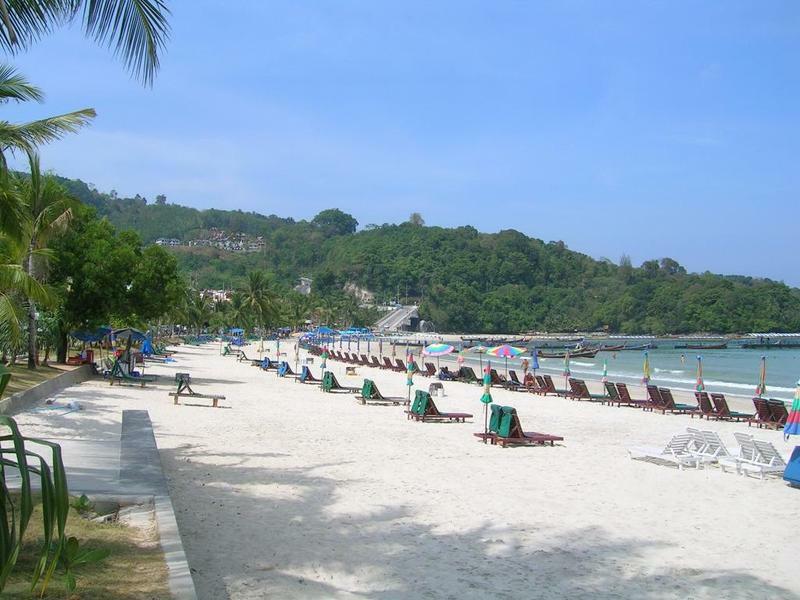 It is a comparison of three popular locations to stay: Patong Beach, Karon Beach and Kata Beach. Patong is the most famous – some would say infamous – beach resort on Phuket. With its wide variety of activities and nightlife, Patong is an ideal place to golf and party. Phuket Country Club, Loch Palm Golf Club, and Red Mountain Golf Club are all just a 10 or 15 minute ride away. Laguna Golf Club is about 20 minutes from Patong; Blue Canyon and Mission Hills about 40 minutes. When you are not golfing, Patong’s long, curved, sandy bay is a hive of activity with parasail and jet-ski operators, boat drivers, beach vendors and masseuses all vying for the attention of the many visitors relaxing on the beach chairs. It is much quieter at either end of the beach where swimming is safe. By sundown the town has a bustling nightlife which includes literally hundreds of restaurants, chic lounge bars, pubs, beer bars and discos. The nightlife is centered around Soi Bangla (Bangla Road), however there are also restaurants and pubs in quieter parts of town. Patong’s food choices are nearly endless. Spicy noodle stands, fast food outlets, mid range restaurants and fine dining spots featuring cuisine from all parts of the globe are all readily available. Some recommendations: for seafood, The Savoey (sic) and No. 6 Restaurant. Good inexpensive Thai: Sabai Sabai, Soi Post Office, and Kaab Gluay on the outskirts of Patong. The more up market Baan Rim Pa serves fine Thai food in spectacular surroundings, at the north end of Patong Beach, near to the Novotel. If you get tired of Thai food and just want a good steak: Sam’s in the Holiday Inn, is a great choice. The next post will cover Karon and Kata beaches, which are quite different than Patong, especially for those on a Phuket golf vacation!